One of the most pressing issues in the digital world is the need for data security. I'm not talking about backing your data up, but rather keeping it safe and secure while it's still on your drive. G-Technology has addressed this with the introduction of its ArmorATD USB 3.1 Gen 1 External Hard Drive, which is a rugged, all-terrain solution that can take a beating. Available in capacities of 1TB, 2TB, and 4TB, the ArmorATD has been built with triple-layer shock resistance, which is made up of a durable rubber bumper, an aluminum enclosure, and internal shockmounts, all of which allow it to withstand up to 1,000 pounds of pressure and drops of up to 3.9' on a carpeted, concrete floor. It is also IP54-rated, which provides protection against rain, sand, and dust. Aside from its rugged capabilities, the ArmorATD is compatible right out of the box with Windows and Mac platforms, with no formatting required. It features data transfer speeds of up to 140 MB/s and connects to your host system using its USB 3.1 Gen 1 Type-C port and an included USB Type-C to Type-C cable. For additional compatibility, a USB Type-C to Type-A cable is also included. 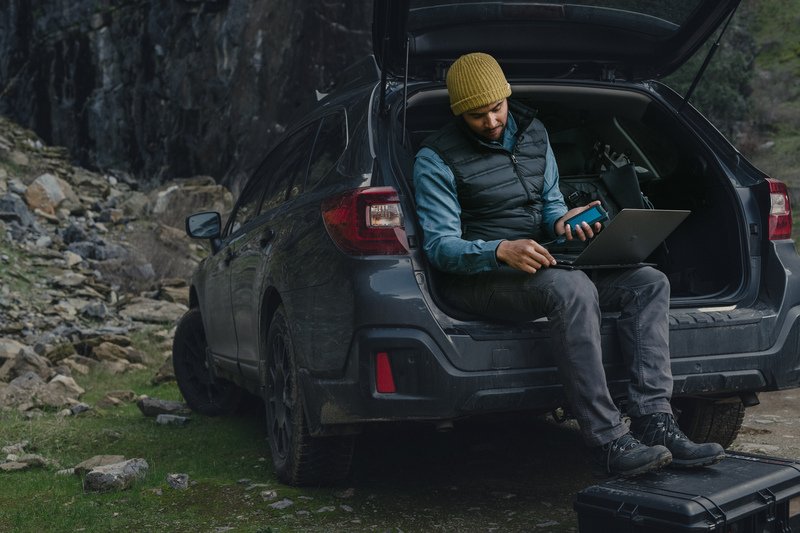 Are you the outdoorsy adventurer type who needs increased protection for your data? Is the ArmorATD just what you've been looking for? Feel free to share your thoughts below. Can I use this with a tablet? Need portability and light weight for travel, and don't want to bring my laptop.